Gentle Giant has opened up pre-orders for two new Star Wars statues. These upcoming releases are part of their 1/6 scale statue line up and are from Star Wars: The Last Jedi. They include a an Executioner Trooper and an Elite Praetorian Guard. The statues are cast in resin and feature hand painted details. Each statue stands about 13″ tall and include themed statue bases as well as numbered certificates of authenticity. The statues are set for release in the third quarter of 2019. The Executioner Trooper is priced at $235, while the Praetorian Guard is priced at $200. For &#187; Continue Reading. 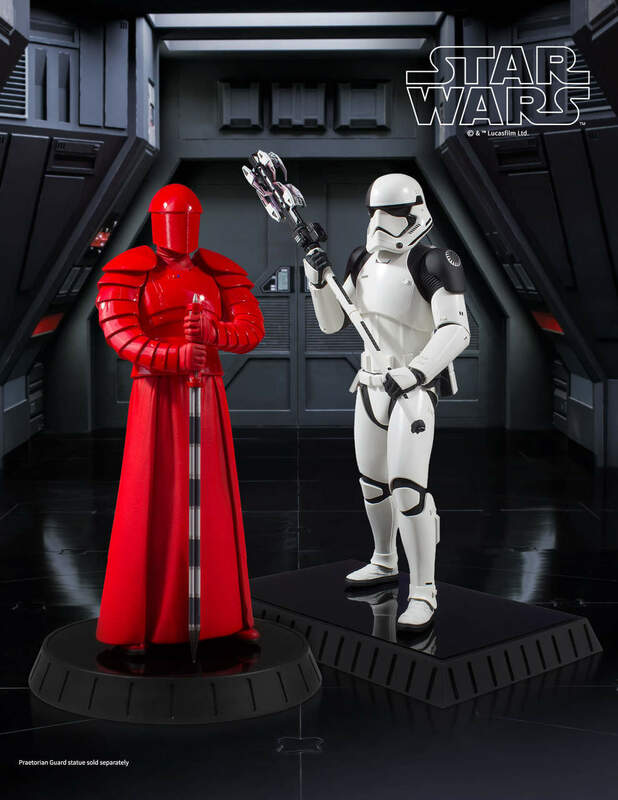 The post Star Wars First Order Executioner Trooper and Praetorian Guard Statues by Gentle Giant appeared first on The Toyark - News.